It’s no secret that creativity flourishes in art rooms all over the world every single day. But, it can be difficult to articulate exactly what creativity is, especially to those outside the field. How do you communicate what creativity is? And, how do you foster creativity in your students? Amber’s short definition, combined with the five action steps, beautifully sums up what creativity is all about. It’s about being innovative in an automated world. It’s about digging deeper, daydreaming, and jumping in feet first. Let’s take a big-picture look at creativity in the art room. We’ll cover how to foster it in your students, specific exercises and materials, and so much more. As we know, there is a wide spectrum of teaching styles practiced by teachers today. The good news is no matter where you fall, there are ways to make sure your students are thinking creatively while they’re in your room. The leaders of tomorrow will need to be able to think on their feet, so it’s important to let your students practice these skills as much as possible! Teaching for creativity is something high school art teacher, Melissa Purtee, takes very seriously. Melissa uses the TAB philosophy in her classroom and has written at length about creativity in the AOE Magazine, on her blog, and elsewhere. 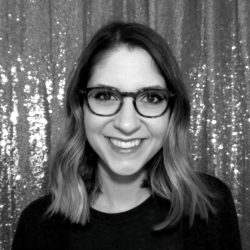 Her article, The Essential Framework for Teaching Creativity, does a great job of showing exactly how Melissa teaches her students to become creative thinkers. In the article, Melissa goes through something she’s developed called, The Artistic Thinking Process, which you can see below. 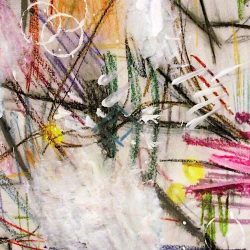 She describes the Artistic Thinking Process in this way, “It clearly lays out the process of finding an idea, developing that idea, creating work around the idea, and finally sharing that work and reflecting on it. It teaches strategies to help kids navigate each stage of the process.” But, she also notes, you can’t expect students to become creative thinkers right away, especially if they’ve had years of being told what to do. Be sure to read the rest of the article to get a sense of how Melissa introduces and scaffolds this idea with her students! Then, check out these other great articles in which she shares related ideas. When talking about creativity, you can’t escape the concept of play. Experimentation and curiosity are elements of both. This is why it’s so important to allow your students opportunities to play in the art room. Instead, you may provide students with the primaries and black and white and challenge them to invent and name their own unique color. 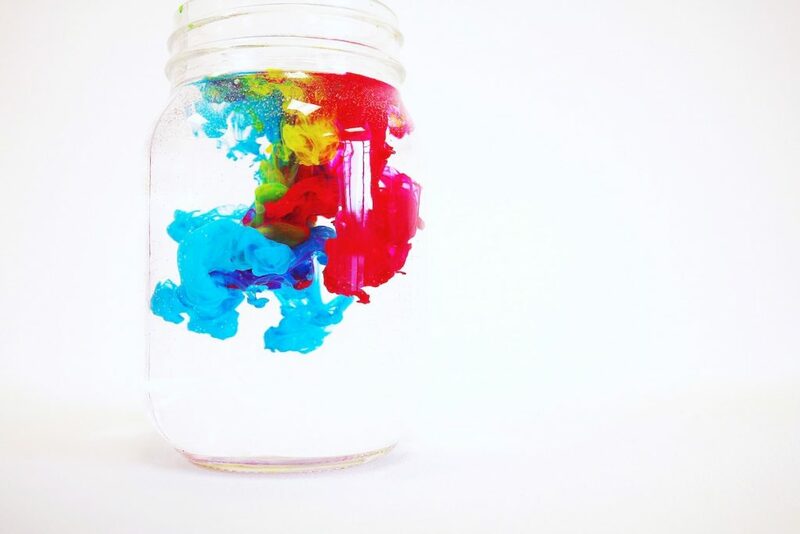 Or, you could provide students with jars of water, liquid watercolors, and digital cameras to capture some free-form color-mixing magic. 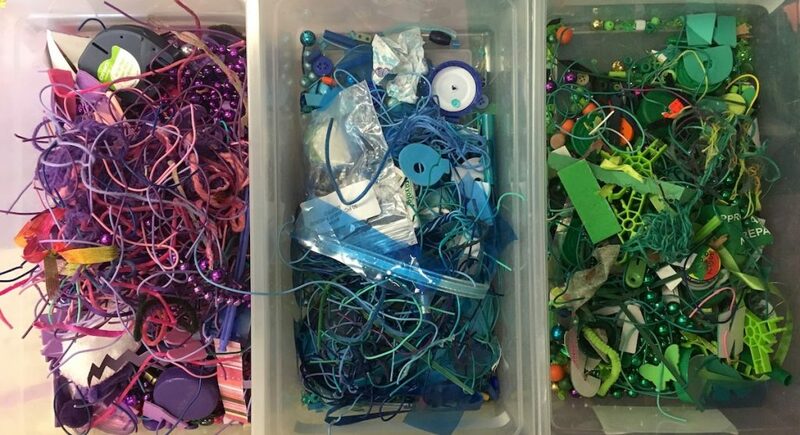 In addition to providing students a way to explore materials, play helps students loosen up and fight the urge to make everything look “right” or “perfect.” If they aren’t trying to make something specific, the pressure is gone. They are left to explore the process. While elementary students are happy to play with wild abandon, setting limits can help older students get into a playful mindset. 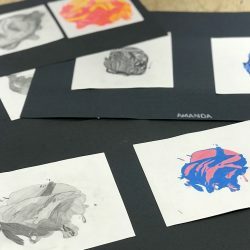 For example, if you make your students tape their drawing materials to long sticks or use their non-dominant hand, it forces them out of their comfort zone into a place of experimentation. One last way play can be beneficial is by providing a brain break during work time. Whether you let your students explore a sensory station or play a color theory game, they’ll come back to their work refreshed and relaxed. If you’re interested in reading more about play in the art room, be sure to check out the following resources. Something that often goes hand-in-hand with play is failure. When students are experimenting, there’s bound to be things that don’t work out. Cultivating a classroom culture where failure is tolerated, and even celebrated, is key to fostering creativity in students. In addition to building in time to play, another great way to teach your students to embrace failure is by helping them develop a growth mindset. We have a helpful PRO Learning Pack that dives deep into this topic called, Growth Mindset in the Art Room. Be sure to take a peek for specific ideas you can use in your classroom right away. One concrete idea you can use right now to get your students more invested in risk-taking is having them sign a “Making Manifesto.” This idea comes from author, Paula Briggs. Essentially, it means drawing up a contract in which you proclaim your art room is a safe space to make mistakes and then having students sign it. It can be a powerful way to get your students on board! You can find more about the idea, complete with a free “Making Manifesto” download, in the article, A Making Manifesto to Help Your Students Take More Risks. Here are 6 resources to dig into if you’re interested in learning more. In today’s educational climate, there still seems to be a heavy focus on test scores. However, the tide may be changing. 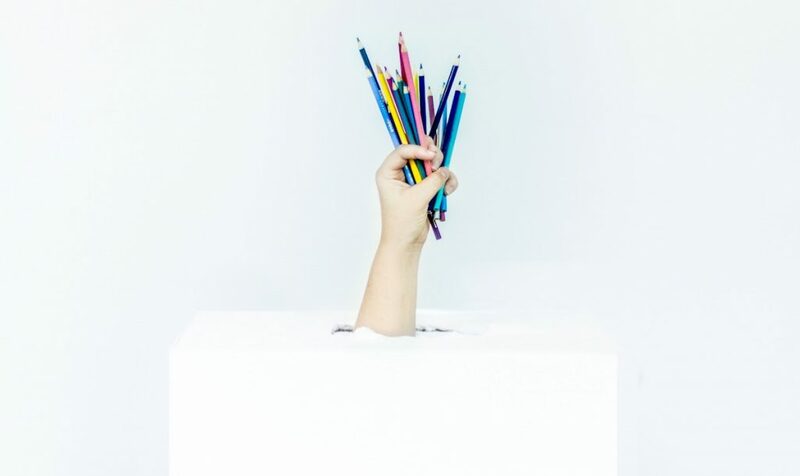 A recent study from The World Economic Forum stated that “Creativity” will be the third most popular skill employers will be looking for in the coming years. Part of teaching students to think creatively is teaching them the value of process. Re-think your focus on craftsmanship. Is it always important to create neat and tidy-looking artwork? Read AOE Writer, Amber Kane’s, article, How Much Does Craftsmanship Really Matter?, to see if you could shift your viewpoint and allow students more freedom. This article from Melissa Purtee shows how you can assess your students’ process instead of just the final product. Instead of rushing students from one project to another, take time to pause. Meaningful reflection can help students see all they learned throughout the creation of a piece of work. Create a different kind of art show. Most teachers hang only finished, polished student work. 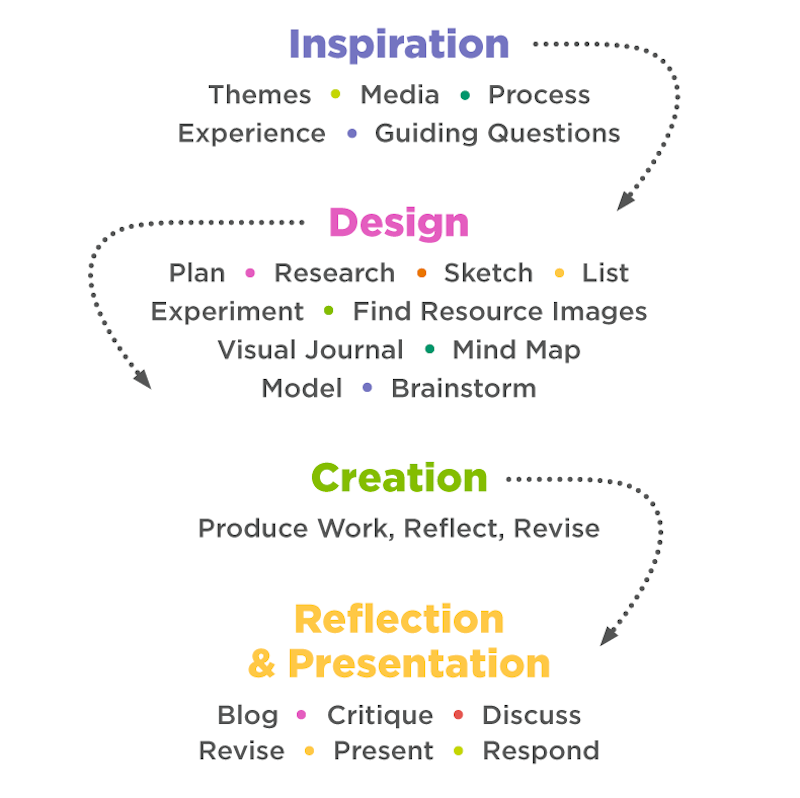 What if we flipped our thinking and displayed in-process work, too? Can you imagine what that would communicate to our students? Change the outlook of your wider community. If you try some of the suggestions above but get pushback, don’t fear! There are many ways to defend your teaching methods. Be sure to read Kelly Phillip’s article, How to Defend Your Process-Based Art Room for specific tips. Or, take the AOE Course Creativity in Crisis. During the final week, you’ll create an artifact that focuses on advocating for creativity in your community, school, or classroom. Now you know you can foster creativity through scaffolding, allowing students time to play, normalizing failure, and emphasizing the process. But, what does that actually look like? Let’s look at some specific creativity exercises, instructional materials, and unconventional media to use in the classroom. While it’s a great idea to always have teaching for creativity at the forefront of your instruction, sometimes your students need an extra push. If you’re looking for inspiration, we have many engaging ideas for you. Here are our favorite creativity exercises and the instructional materials to go with them. 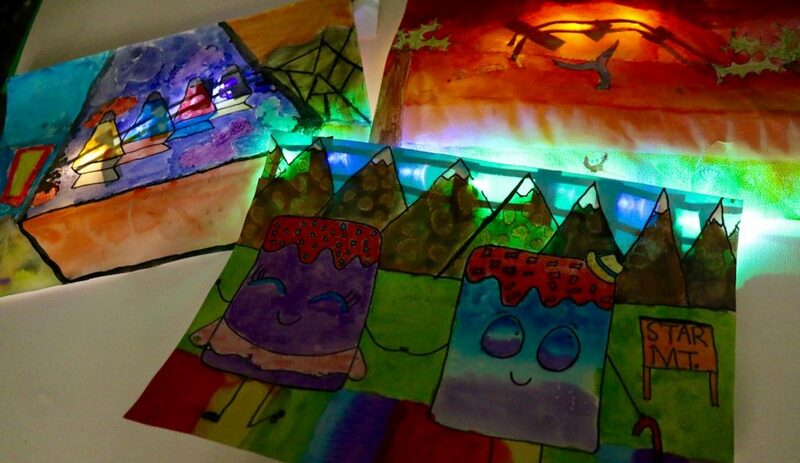 Giving students an art challenge or creative prompt is a great way to push their creative thinking skills. You can find out more about these types of activities in the resources listed below. 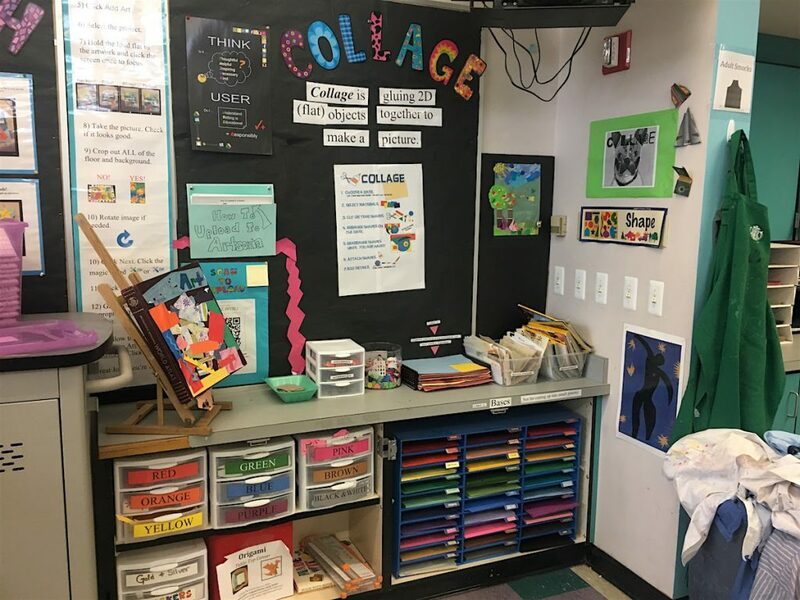 If you’re unfamiliar with what an art challenge is, start with the article Why You Should Incorporate Art Challenges in Your Room This School Year. Then, take a peek at the list below for activities to start the year, end the year, and everything in between! Out of Ice Breakers? Try a TASK Party! 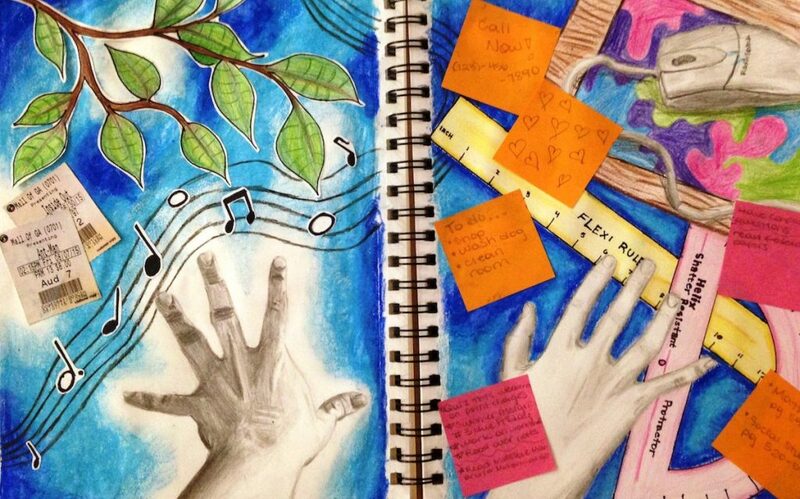 Giving students creative prompts through sketchbooks or visual journals is another way to push your students’ skills. Take a look at all of the great resources below to get started. Teaching students to think creatively is also a great way to help motivate them. If students are used to working through problems they are less likely to feel overwhelmed when their work gets off track. Here are some resources to help students build their growth mindset through creative thinking. One surefire way to get your students to think outside the box is to provide them with unconventional media. Let’s take a look at how to get started. Andrew is also an expert at using these materials in his classroom. If you’re interested in learning his specific recommendations and how to use them, take a look at the Creating with Unexpected Materials PRO Learning Pack. Having families donate materials is a great way to begin to build your stash. Here are some ideas for helping your community members know what you need. Soliciting donations isn’t the only way to gather unconventional materials. You can also try transforming common art room leftovers or heading to the hardware store! The possibilities really are endless if you look at everything as a potential art supply. Obtaining unconventional media is easy. The problem comes when you have to figure out how to use all of that stuff! Tim and Andrew discuss some good strategies on the podcast episode From Trash to Treasure: Using Donations to Make Incredible Art (Ep. 043). If you’re looking for some specific ways to bring unconventional media into your classroom, look no further! Here are 20 great ideas. Don’t Let Drawing Disappear from Your Curriculum! If you’re looking for more unconventional drawing ideas, be sure to check out the Rethinking Your Drawing Curriculum PRO Learning Pack. You’ll learn about out-of-the-box ideas and materials to implement in your classroom right away! Have You Ever Done Printmaking Like THIS? Four Unconventional Printmaking Methods You Must Try! If you feel yourself nodding along with the ideas listed above, you may be interested in learning more about the specific pedagogies where this type of thinking is at the forefront. While teachers bring creativity into all pedagogy, there are a few that seem to put creativity at the forefront. Let’s take a brief look at each. 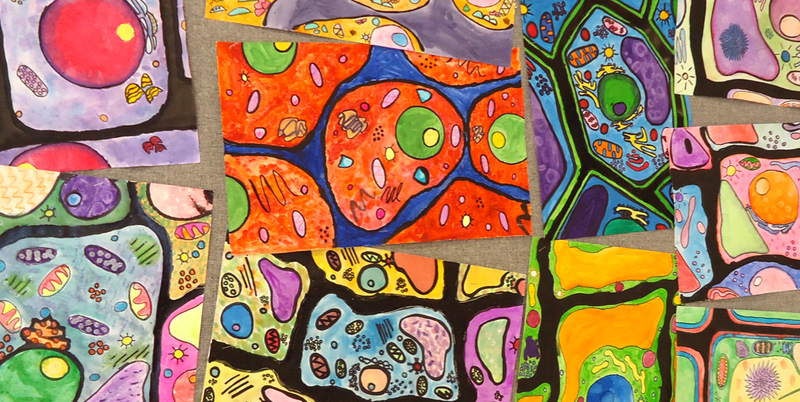 Choice-based art education can encompass a wide array of teaching philosophies and styles. The article, Where Are You on the Choice Spectrum?, has a chart to help you identify where your current practice stands in terms of giving students choices. Many teachers in the “Abundant Choice” group place a heavy emphasis on creativity. This is especially true in the Teaching for Artistic Behavior, or TAB, philosophy. In a TAB classroom, students are truly treated like artists, often choosing their subject matter and media. 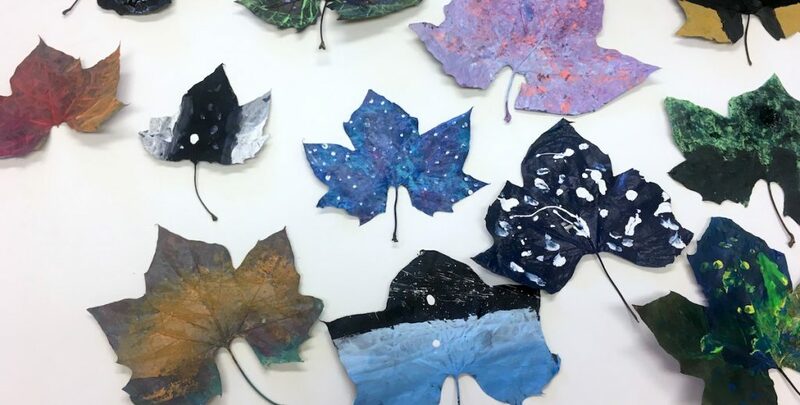 No matter what teaching philosophy you use, if you’re looking to incorporate more choices for your students, you’ll want to take a look at the AOE course Choice-Based Art Education. You’ll study different approaches and find something that works for you and your students. Help your students develop their creative thinking skills by constructing authentic, student-directed, student-centered learning experiences from the bottom up. Another educational philosophy that incorporates creative problem-solving is STEAM. 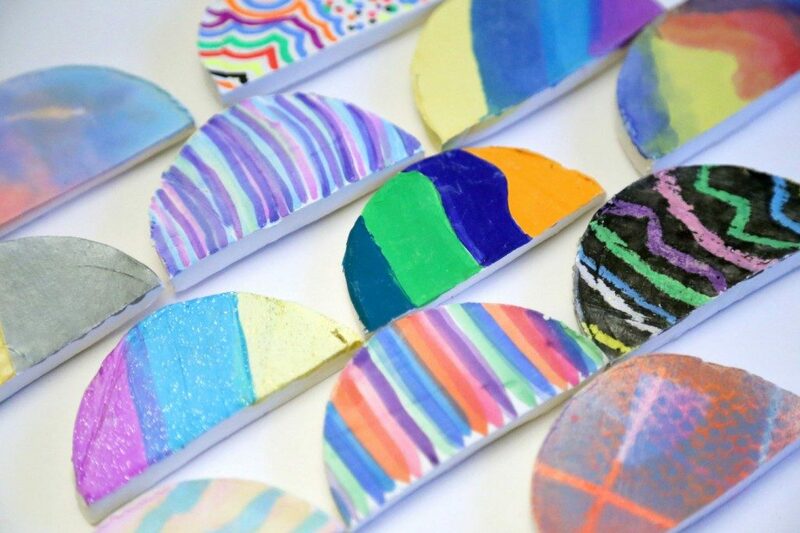 The trick with incorporating STEAM principles into your classroom is keeping the focus on art. We have many resources to help. Read, How to Keep the Integrity of Art in STEAM, then check out the additional resources below. Project-Based Learning is third teaching method that requires a high level of creativity. Middle School Art Teacher and AOE Team member, Tracy Hare, sums up PBL in her article, The Real Reason Why I’ve Decided to Slow My Students Down. If you’d like to learn more about bringing this exciting idea into your classroom, you’re in luck. 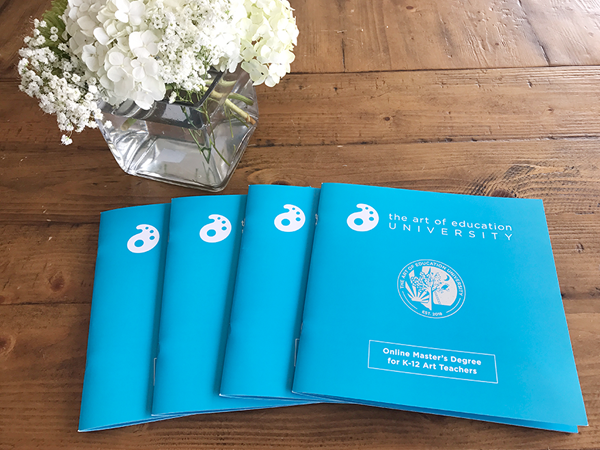 AOE’s course, Project-Based Art Room, is designed to help you actively re-design and customize a collaborative curriculum. You’ll leave the course with new ways to enhance the 4Cs and other 21st-Century Attributes in your classroom, which include critical thinking and problem-solving, communication, collaboration, and…creativity! Now that we’ve talked about how to bring creativity into the classroom, what about fostering your own outside of it? As art teachers, it can feel almost impossible to find time to be creative outside the classroom. In fact, many teachers look at their art teaching practice as their creative outlet. But, if you do want to bring some actual artmaking back into your life, what can you do? Check out the list below for three doable ideas! 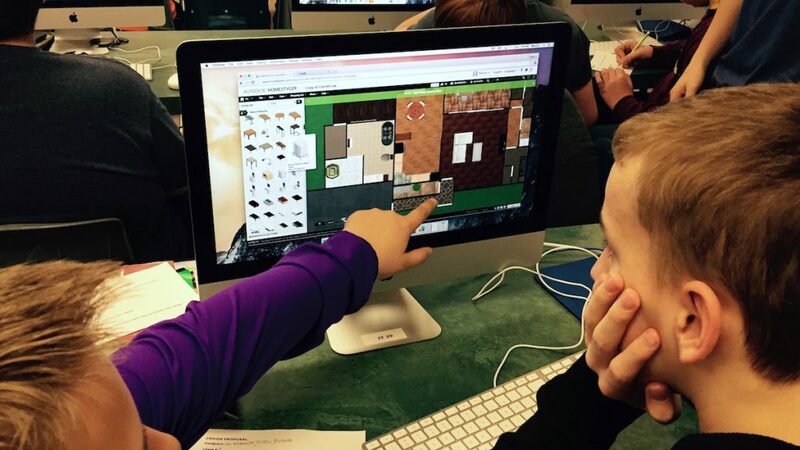 Did you know AOE offers an entire suite of Studio courses where students make their own art while learning how to bring different media into the classroom? It’s the perfect way to invest in your own creativity while earning credit and discovering new ideas to bring to your students. We currently offer 7 amazing studio courses on the following topics. 2. Start (or Revive) a sketchbook practice. 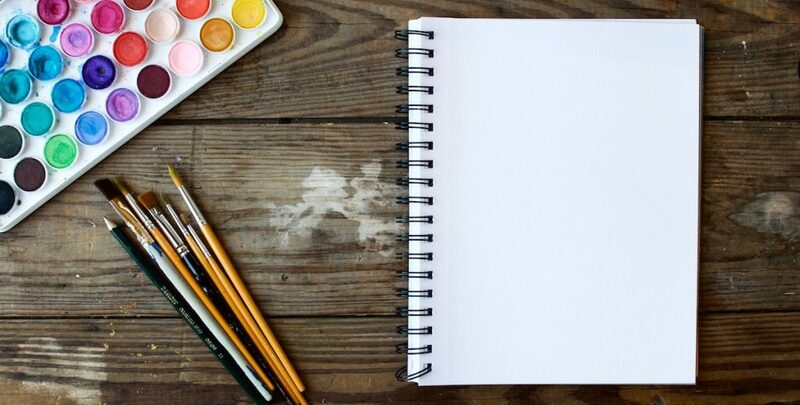 We are always touting the benefits of sketchbooks and visual journals to our students, but how many of us take time to keep one ourselves? Here are three great articles to help jumpstart your practice. One last way to foster your own creativity is to give yourself a challenge. There are many different ideas you could try. Former AOE Writer, Kelly Phillips, challenged herself to make art for 45 minutes each week, just like her students! AOE Writer, Lindsey Moss, puts her fears aside and creates work for a Faculty Art Show. Former AOE Writer, Matt Christensen, challenges himself to make his own artwork and teaching tools for his classroom at the same time. There are many more great ideas to try. Pick something and see if it rekindles your creativity! Art teachers really are the key to growing the creative leaders of tomorrow. As Amber said so well, we must help students ask questions, be curious, use their imagination, make educated guesses, and be open to the possibility of failure. That’s no easy task. Let AOE help guide you with this list of amazing resources! 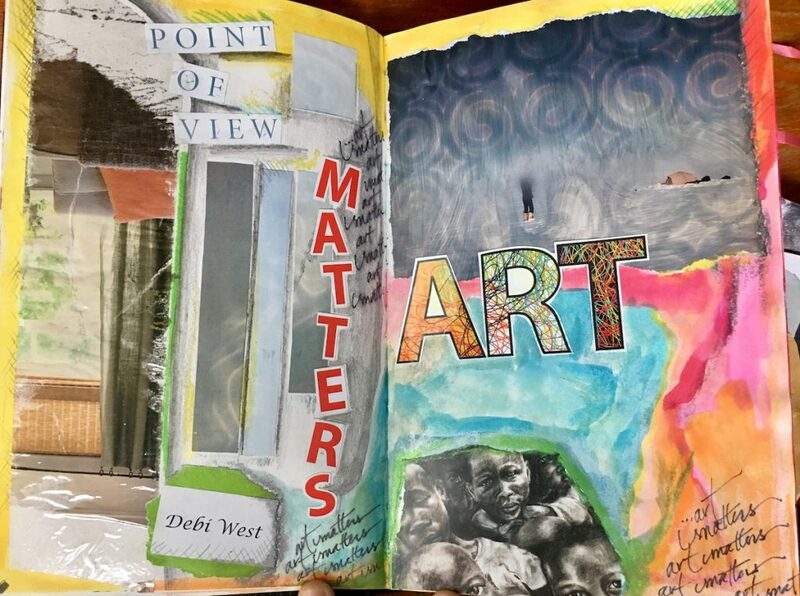 How do you teach for creativity in the art room? What questions do you still have about creativity and the role art education plays in fostering it? Thank you for this fantastic article. I haven’t had a chance to read absolutely everything, but I so much appreciate you taking the time to gather all this outstanding information. I have a theme that I carry through my entire year with all of my students (grades 4 through 12), and next year I am going to be investigating “What Is Creativity?” as that theme. We are going to have SO MUCH FUN.